Adi Shapira (centre) willcompete in archery in the 2019 Canada Winter Games. Adi Shapira, 16, is an up-and-coming athlete in the sport of archery. In Grade 10, she is part of the SPARTS program at Magee Secondary School, which is open to students competing in high-performance athletics at the provincial, national or international level, as well as students in the arts who are performing at a high level of excellence. Since being introduced to archery only 18 months ago, Adi has climbed in the ranks, winning two gold medals in the 2018 B.C. Winter Games in the cadet category (15-17 years old) of Olympic recurve bow. On Nov. 24, Adi won the qualifying tournaments against other female archers ages 15 to 20 and will be representing the province of British Columbia in the female recurve category in the Canada Winter Games in Red Deer, Alta., in February 2019. Left to right: BillPechet, Afshin Mehin, Claudia Schulz and HenryNorris. Awardees of the Carter Wosk Awards in Applied Art and Design were honoured for their creative excellence at the 14th annual awards presentation Nov. 29. Bill Pechet, the architect for the restoration project of the Jewish section of Mountain View Cemetery and the renovation of the Schara Tzedeck Chapel and grounds, received the 2018 B.C. Creative Achievement Award of Distinction. Pechet has dedicated himself for more than 30 years to creating environments that bring people together in refreshing and unexpected ways. He has made his mark on public spaces across the country through his street furnishings, lighting, urban infrastructures, public art and memorial design. Many of his contributions can be found around the Lower Mainland, including seating and lighting on Granville Street and the Shipyards in North Vancouver. In all his projects, he has extended the possibilities of merging social space with sculptural invention and sound ergonomics. Since 2000, as a faculty member of the architecture and environmental design programs at the University of British Columbia, Pechet has encouraged his students to consider how manners of contemporary urban social practice intersect with material and spatial invention, all impacting the experience of the built world. As an artist and mentor, Pechet frequently lectures on the critical role that public space plays in healthy and vibrant cities. His work emanates from a desire to generate a generous sense of simultaneous recognition and pleasurable strangeness in the public realm, giving individuals the permission to see the world as a little bit wondrous. The Carter Wosk Awards for Applied Art and Design celebrate British Columbians who, through their creativity, contribute to the cultural economy of the province. Each year, up to three recipients are chosen by jury and each is awarded $2,500. This year, the winners were Afshin Mehin (wearable technology), Henry Norris (furniture design) and Claudia Schulz (hat design). 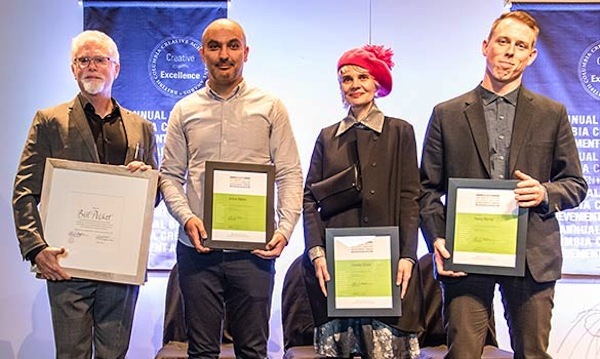 The awards honour excellence in art with a practical or functional application and are named in honour of philanthropist, academic and visionary Dr. Yosef Wosk and for educator, designer and curator Sam Carter. The 2018 Young Lamplighter Award was presented to Ethan and Simoana Dreyshner. 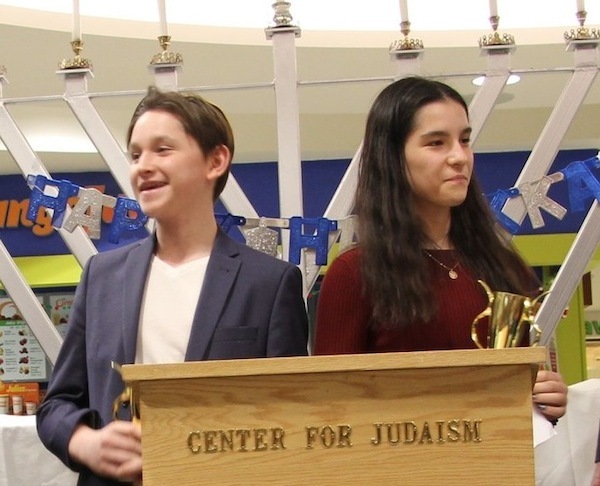 On Dec. 9, at the Centre for Judaism’s public menorah lighting at Semiahmoo Shopping Centre in South Surrey, the 2018 Young Lamplighter Award was presented to Simoana and Ethan Dreyshner for their dedication to community and those less fortunate. They have raised funds and given of their time and energy to various important causes, including the Jewish Food Bank, B.C. Lung Association, First Call B.C. and the Louis Brier Home and Hospital. Parents (Marat and Ella Dreyshner) and grandparents were on hand at the ceremony. Dignitaries in attendance included MLAs Marvin Hunt (Surrey-Cloverdale) and Tracy Redies (Surrey-White Rock), Langley Mayor Val van den Broek, Langley Councilor Rudy Storteboom, White Rock Deputy Mayor Helen Fathers and Surrey Councilor Linda Annis. Cantor Yaakov Orzech lit the menorah and led the Chanukah songs, and Adina Ragetli played the harp. 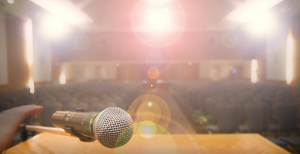 In the “human menorah” presentation (written by Simie Schtroks as a response to the Pittsburgh shootings), Louise Stein Sorensen, Moshe Fidelman, Joanne Yaakov, Marat Dreyshner, Ettie Shurack, Ethan Dreyshner, Bayla Shurack and Schtroks each kindled a flame with a message. Dean Donnelly entertained the children, and winners of last year’s Lamplighter, Emily and Jessie Miller, were there to pass the torch forward. 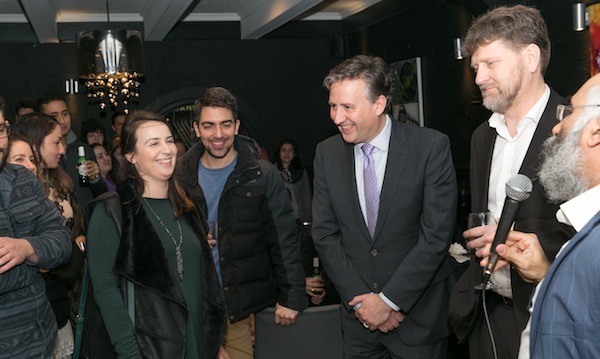 On Dec. 2, the first night of Chanukah, the Ohel Ya’akov Community Kollel hosted its Annual Latke Vodka party at the Maple Grill.